Barcelona, Spain – A city known for its architectural wonders, happening night life and delectable cuisines, Barcelona is a world class city located in Mediterranean coastlines. It has eight white sand beaches which are major sites of tourist attraction. These beaches are well connected by metro. 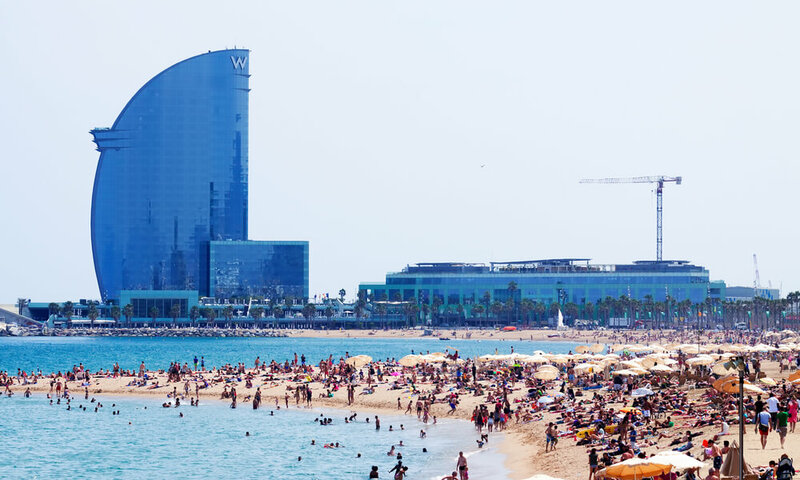 On your trip to Barcelona do not forget to visit the beauteous Barceloneta Beach that was revitalized with massive waterfront makeover for 1992 Olympics. Other beach cities that you can visit includes, Nova Icaria beach, Bogatell beach, Mar Bella beach, Ocata beach, Caldetes beach, St Pol de Mar Beach, etc. 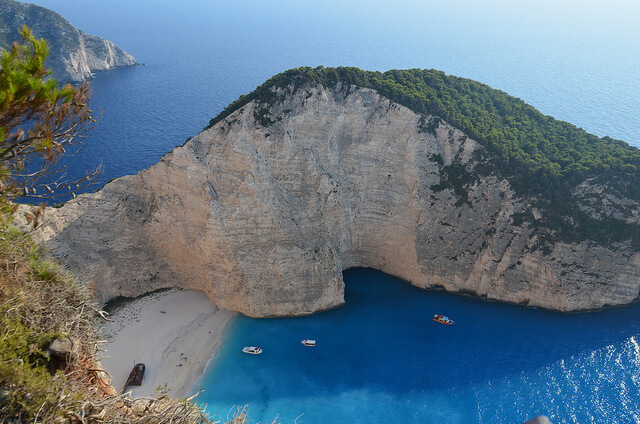 Navagio Beach – Ever dreamt of wandering off to some isolated beach destination to spend a few days of serenity and leisure with your beloved? 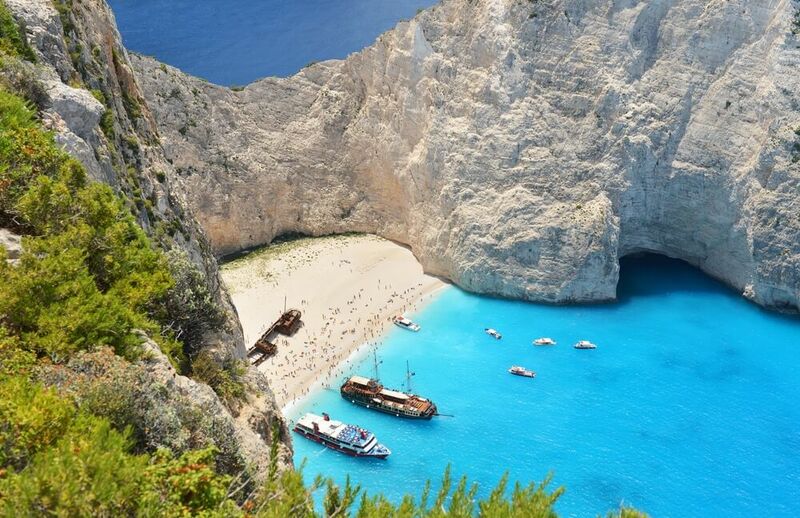 Navigo Beach located on the isolated cove of Zakynthos Islands is one of the trademark beaches of Greece that has the perfect ambiance and setting for a romantic beach holiday with your beloved away from the bustling city life. This heavenly stretch of land nestled in the lap of nature is accessible only by boat. Shoal Bay – This beach destination is often regarded as one of the most beautiful beaches in the world. Travelers love to call it by the name of “quiet oasis”. Visiting this place will give you a surreal experience that you will treasure for a lifetime. Named after the numerous sand shoals scattered around the area, the beach destination is located in Port Stephens in New South Wales. The shops and restaurants established along the beachside and the Shoal Bay Resort and Spa are major attractions that draw tourists to this region. Hence, if you ever plan for New South Wales tours, do not forget to visit this amazing beach cities. If you are looking for a quintessential beach cities for your next holidays, here is a list of popular beach destinations to visit.